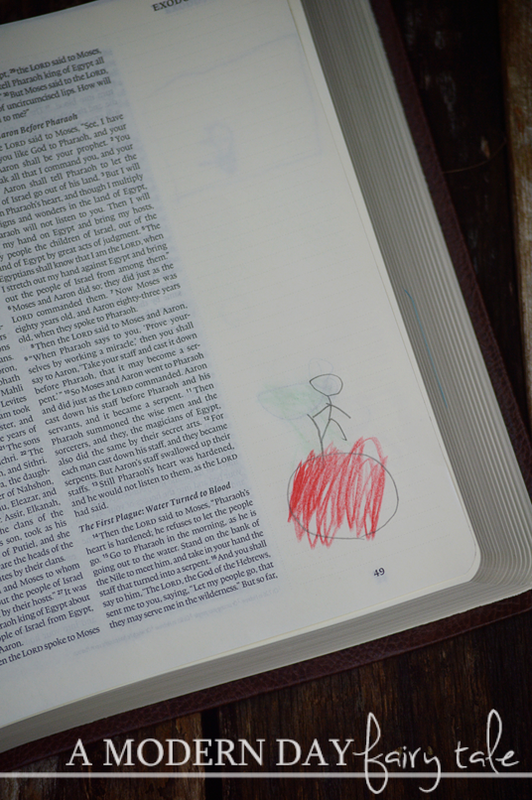 Several weeks ago, my 8-year-old son came to me and told me that he wanted a journaling Bible. 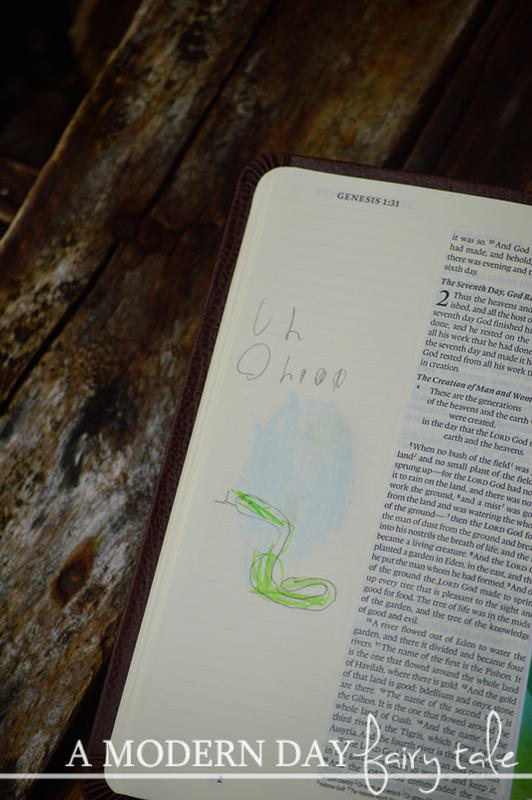 Now, you all know that I love Bible journaling, so naturally my Bible loving son picked up on that and decided it would be something he might like too. I have to admit though... I was a little skeptical. Would he actually do anything with it? Did he understand enough about the Bible to get much from the experience? Was he old enough? But he was nothing if not persistent, so when I found a deal at Family Christian that allowed me to get him a new journaling Bible for just $20, I figured we'd give it a shot. Boy, am I glad we did! Shaun is absolutely loving it! 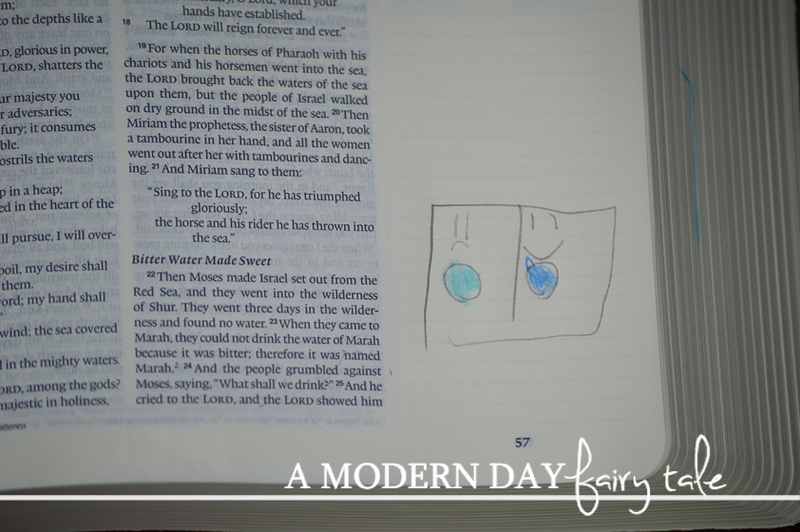 I've discovered very quickly that Bible journaling isn't just good for adults, it's ideal for kids too! It makes learning about the Bible fun. For many, reading the Bible is more of a chore than something you truly want to read. I remember this being true for myself as a child. It's not that I didn't know it was important or that I should, it just didn't have much appeal to me back then. But what kid doesn't love arts and crafts? 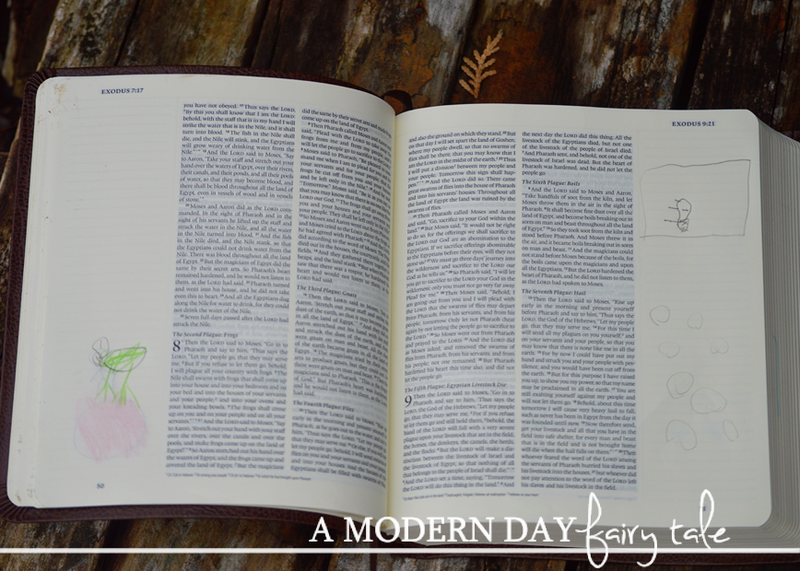 Bible journaling takes the fun of arts and crafts and drawing doodles and combines it with reading the Bible too! It inspires creativity. Now, in my own journaling, I tend to go all out with paints and stamps and stickers galore. My son on the other hand keeps it much more simple- creating simple illustrations of his favorite Bible stories as he saw them. Still, it inspires him to think outside the box and have fun with the Bible too! It's a great keepsake. I don't know about all of you, but I'm the type of mom that keeps a TON of kids' artwork. I love looking back and seeing how their skills have changed and progressed. 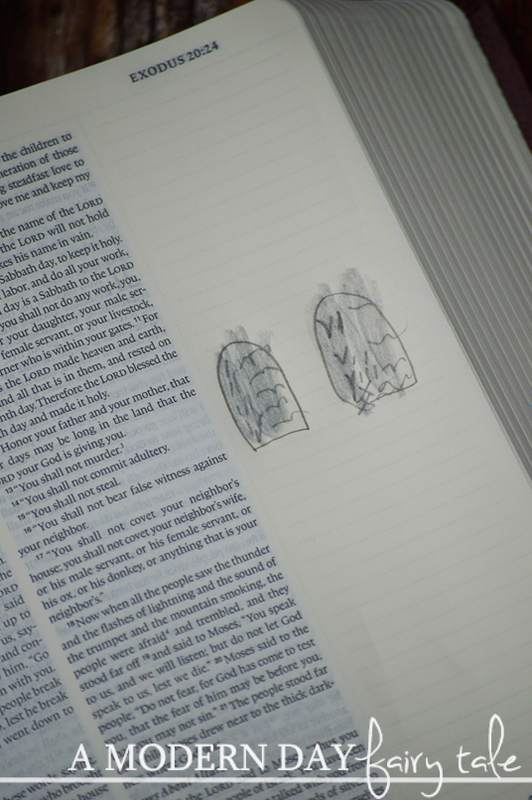 A journaling Bible gives us the chance to do not just that, but to see their faith grow as well. I love that this is something he will have to look back upon for the rest of his life. It's a great bonding experience. 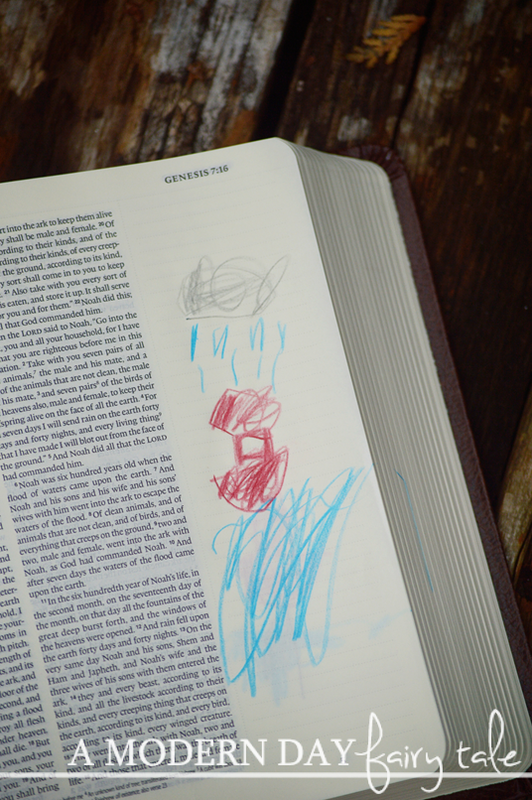 When my son sees that I am journaling, he often grabs his own Bible and sits to join me. I love sharing this time and this experience together. It gives us something to focus on and work on together... a hobby we can share and that allows us to strengthen our relationships with God and each other. Needless to say, there are many great reasons for us all- kids and grown up alike- to fall in love with Bible journaling. It really is a fantastic fun way to strengthen our faith and get us all to spend more time in the Word! 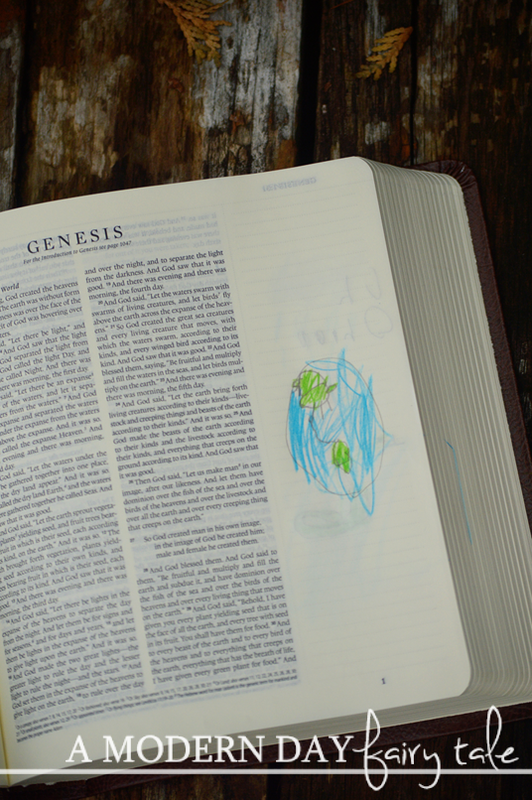 Do you have a little one that is interested in Bible journaling? What are other great benefits to consider? I really like the idea that you two are sitting down and working on journaling at the same time, though each in your own Bible and with your own interpretation of the verse. I can see this as being a nice way to sneak in some critical thinking practice too....by asking him to explain to you why he chose to illustrate in that way, and also, how he was feeling as he drew.